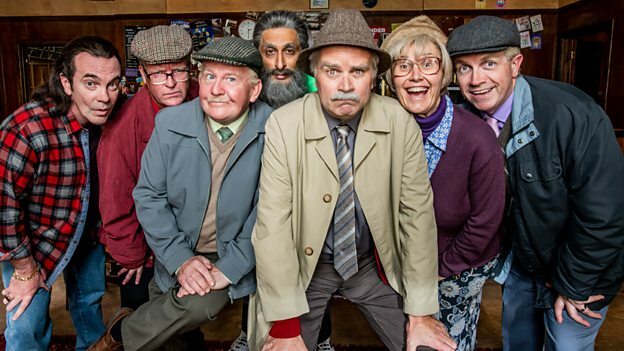 The last-ever Still Game series once again reunites Jack Jarvis (Ford Kiernan) and his neighbour and best buddy Victor McDade (Greg Hemphill) with all of Craiglang’s comedy pals including Isa (Jane McCarry), Navid (Sanjeev Kohli), Boaby (Gavin Mitchell), Winston (Paul Riley) and Tam (Mark Cox) for six new episodes. It also features Still Game favourites Methadone Mick (Scott Reid), Sheathing The Undertaker (Bruce Morton), Peggy (Lynne McCallum), Edith (Maureen Carr), Meena (Shamshad Akhtar), Shug (Paul Young), Stevie The Bookie (Matt Costello) and Frances (Kate Donnelly) alongside guest stars including Martin Compston (Line Of Duty), singer-songwriters Midge Ure and Amy MacDonald, James McPherson (Taggart) and DJ Des Clarke. Comedy partners Ford Kiernan and Greg Hemphill, who are the writers as well as the stars of Still Game, are thrilled the series will be part of the new channel’s launch. Greg said “Jack and Victor are a bottle being smashed on the bow of a beautiful ship and we’re absolutely thrilled to be launching Scotland’s brand new digital channel with the last ever series of Still Game." The six-part comedy series, made by BBC Studios, will debut on the new channel on its launch day of 24th February, followed by BBC One which will air the series later in the year, giving Scottish fans two chances to bid a fond farewell to pensioner pals Jack and Victor, as they go into TV comedy retirement. 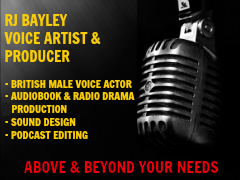 This is also the first official confirmation of the channel’s launch date following BBC Director-General Tony Hall’s 2017 announcement that there would be a new BBC television channel created for Scotland.